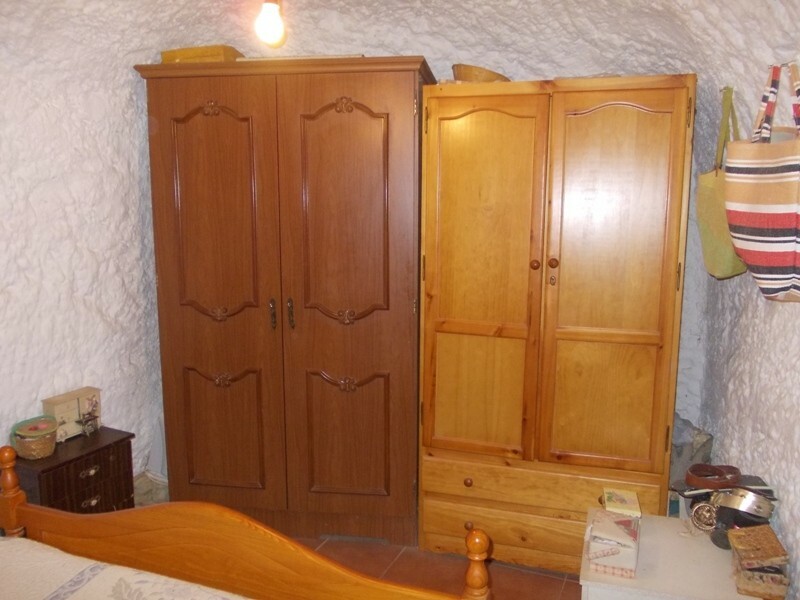 This cave house is for sale in the scenic area of LLano de Las Animas, 10 minutes from Albox. 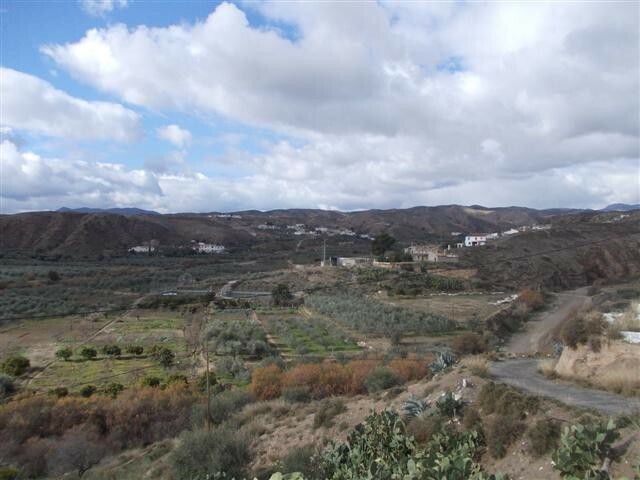 A country house for sale in Almeria province. 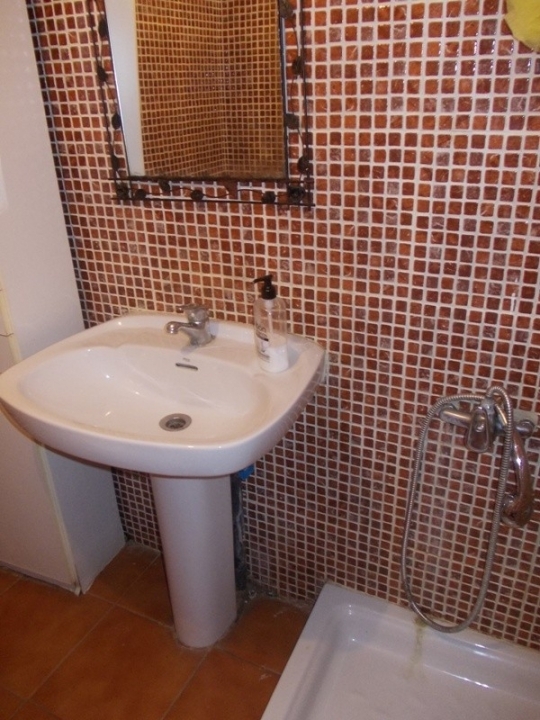 It is a large property with great potential. Access is via a steep hill but once at the top, the views are worth it. 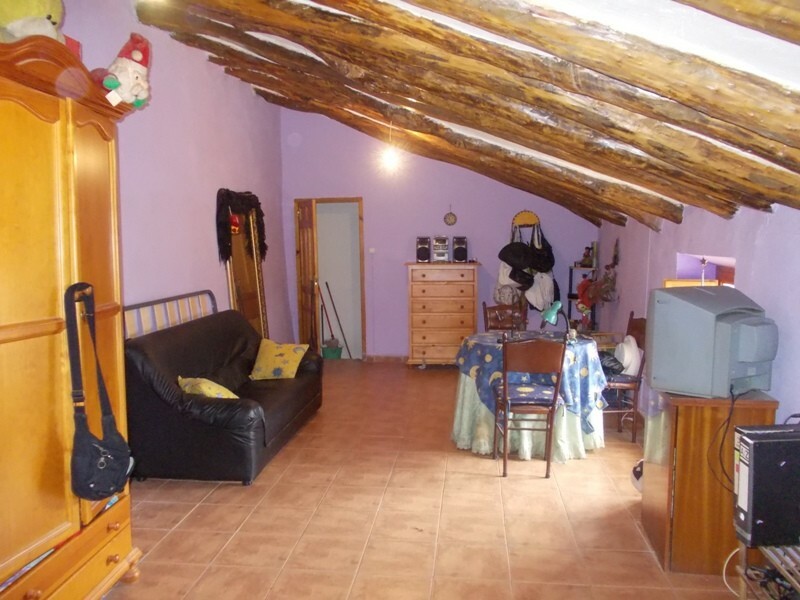 The property consists of entrance hall with bedroom and bathroom to the left. 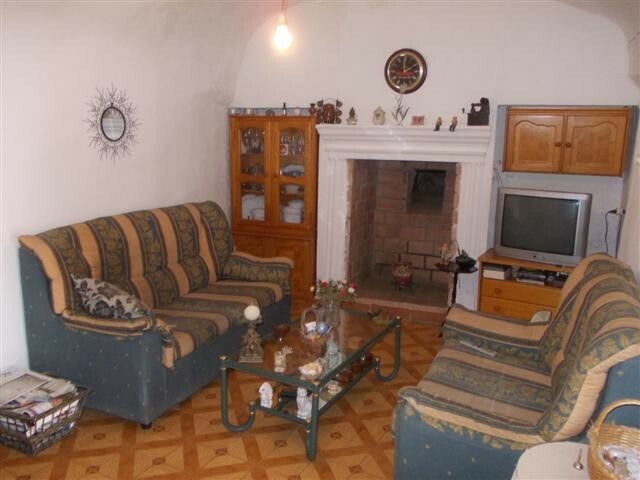 From the hall is a lage sitting room with feature fireplace and spacious cave bedroom. 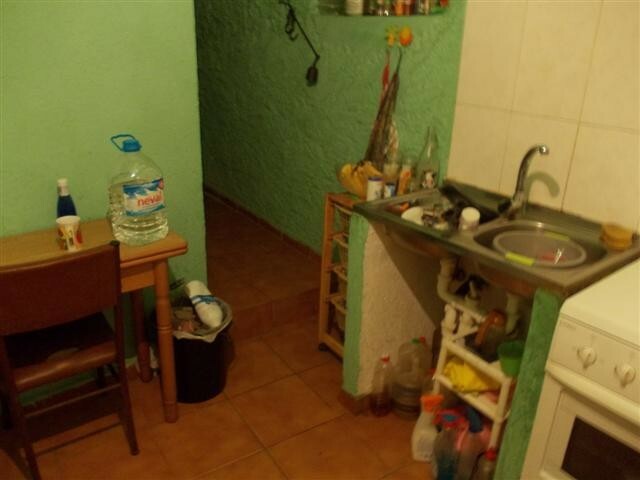 There is also a rustic kitchen and shower room. 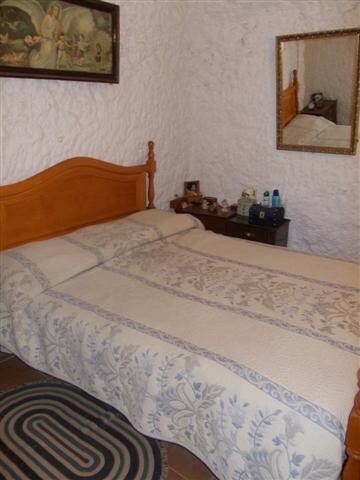 To the right of the hall is another room which the current owner uses as a sewing room . 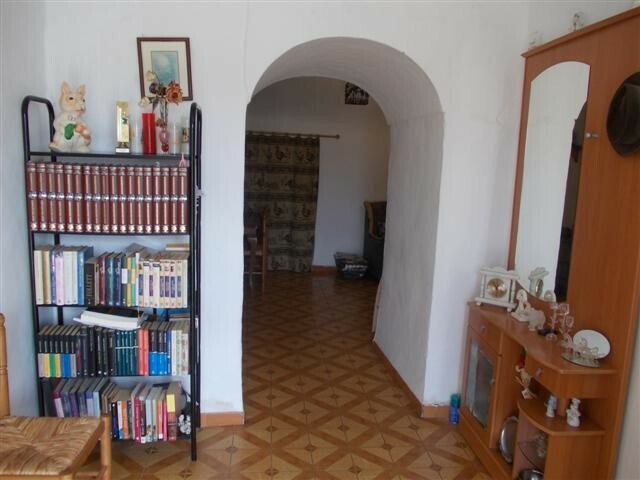 A staircase leads to the upper floor and a very large bedroom which runs ther length of the property and could be divided to make 2 rooms if required. 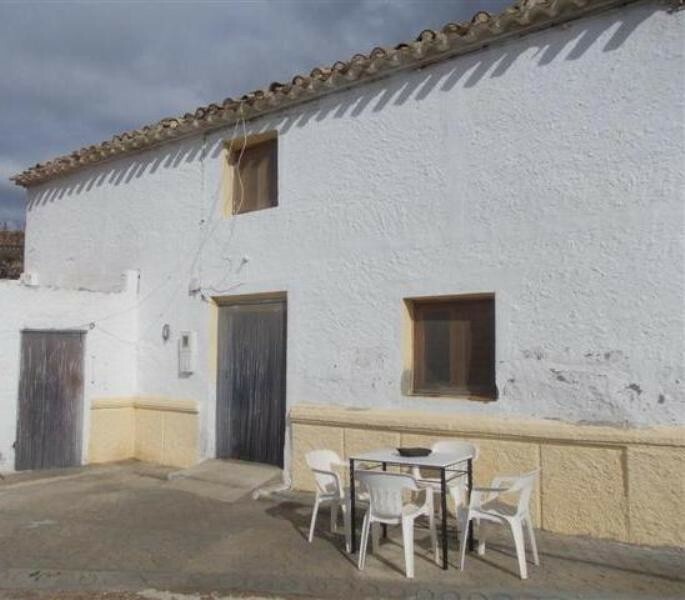 To the front of the property is a large flat area which could be a lovely patio or terrace. There are several outbuildings which could be converted into further living space or demolished to extend the garden or make roo for a pool. 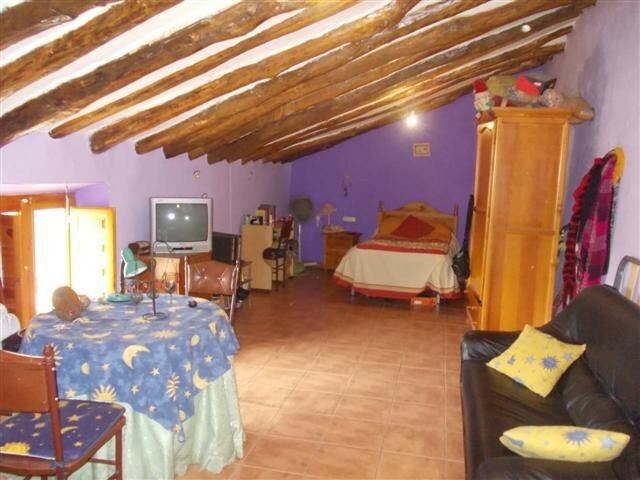 The property comes with 10,280m2 land. 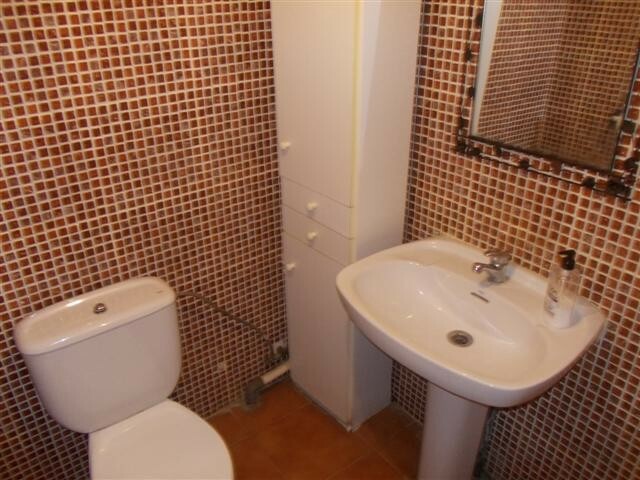 This property, with a little work and modernisation has the potential to be a very spacious and comfortable home.